London's Maddox Gallery's contemporary art auction last week in aid of Caudwell Children raised over $245 000. The event for the charity, which transforms the lives of disabled children living in the UK, featured works by Bradley Theodore, Robi Walters, Dan Baldwin and more. 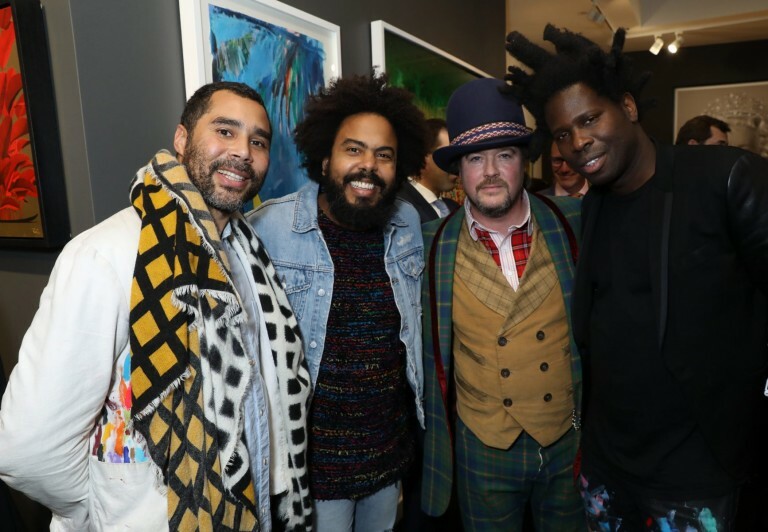 It was New York artist Bradley Theodore's canvas which fetched the highest price of the night, as interior designer Rebekah Caudwell had the winning $47 000 bid. As well as this charity event, the week was also special as the gallery played host to a rather royal guest. 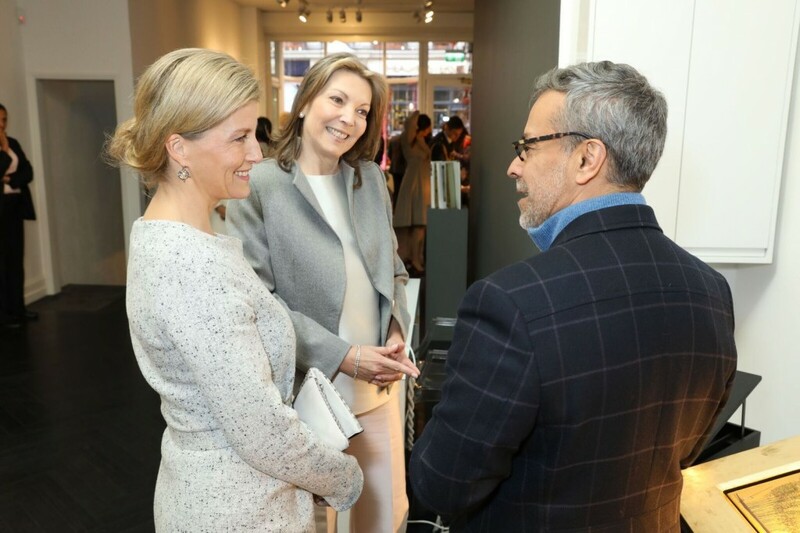 HRH Countess of Wessex visited Maddox gallery with Colombia's First Lady as part of the President of Colombia’s first ever State Visit. 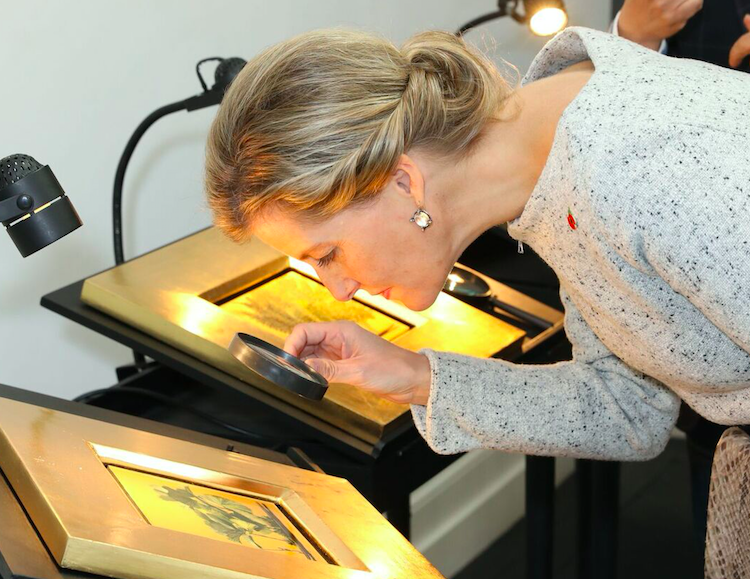 The Countess of Wessex and Colombia’s First Lady visited the gallery to see their current exhibition “Oro” featuring works by Colombian artist Pedro Ruiz, which is in collaboration with the Colombian Embassy. Pedro Ruíz talked the Countess and First Lady through. Ruíz has received many awards and distinctions for his work. Most recently, he was conferred the Order of Arts and Letters (Chevalier dans l’Ordre des Arts et des Lettres) by the French government for his contribution to Colombian art.